Top company, high quality of service provided by Dave Hewitt and the rest of the team. Responded to my query virtually straight away, came round same day to look at the car. Agreed on the work and started that day and returned within 48 hours as promised. Work is excellent. Very happy. Excellent value. Would recommend David Hewitt and would not hesitate to use again if needed. Dave Hewitt did a fantastic job on my Evoque. No hesitation in recommending ChipsAway and Dave. Dave Hewitt from Chips Away was professional and prompt at all times, did everything he said he would and returned my car in excellent condition. I would highly recommend to anyone needing to make any scratches or dings disappear. This is the second time I have used David Hewitt for a paint repair and yet again I can give nothing but good feedback. Punctuality, efficiency, professionalism, customer satisfaction and cost all 5 star. I would highly recommend David to anyone, thanks again. Definitely recommend. David Hewitt (Bromley) did a fantastic job. It was all so simple to arrange too. I use my car for work so Not having my car for any period of time represented a problem. David sent a colleague to pick up my keys before I headed off for a weekend break. I got delayed on my journey home but a quick text to David ... Read more and he obliged by leaving my car keys as requested and left my car all sorted and good as new, literally! A brilliant job done with ease!. Car got keyed! - Sadly a couple of weeks before Christmas my new car got keyed. I was concerned firstly about the cost and secondly that it if it was going to cost me, that the repairs would be worthwhile. It was quite expensive - more than I'd hoped, but had I have paid less would I have got firstly the service and secondly the ... Read more excellent results? - the finish was 'factory' standard as if I had just purchased the car - absolutely perfect with no signs of a scratch, colour mismatch or any of the other things that you might worry about when these things happen. The work was carried out by David Hewitt who went out of his way to come to my place of work, assess the damage and give me an accurate quote. The car was collected the next day and returned a day later looking good as new. Yes, it was quite expensive for me but you get what you pay for and this was an outstanding friendly, professional no-hassle service and the results were superb. My bonnet was chipped and required respray to repair fully. Dave Hewitt from Norwood dealt with me from start to finish. The whole process was pain free and the final product was as good as new. Many thanks, exceptional service. Fantastic service from David Hewitt. My car needed repairs to the passenger side alloys and a number of small dents and scratches on the door and wing. Have to say it looks great! David was professional, quick and his work was to a very high standard. 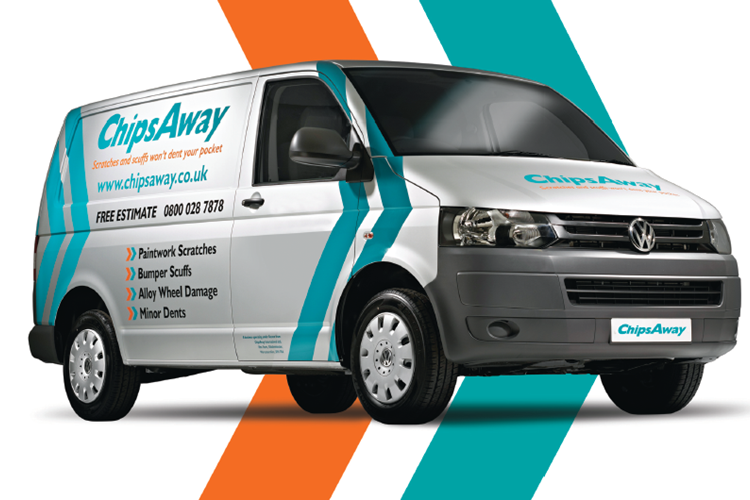 Would highly recommend him and Chipsaway! Mrs Deller wanted to leave some positive feedback because she was very pleased with the help of her local specialist. His name was David Hewett and Mrs Deller was exceptionally pleased with him. She has praised his service a lot and advised that she would definitely use the service again. Someone had keyed the bonnet of our Audi and David Hewitt at the Croydon branch did an amazing job. The service was excellent, he picked up the car from our house and dropped it off the following evening. A lovely guy and a good price. Having been recommended to use chipAway I must say I was very impressed with the service David Hewitt supplied. It was a very professional job all round. I would have no hesitation in recommending David to anyone. A very prompt and courteous service. The evening collect and deliver service was much appreciated and fitted in perfectly with my own arrangements. David was very good at keeping me advised of his progress. An excellent repair was made. Highly recommended. Nice service with no hassles. Staff are quite professional Dave Hewitt for example collected the car returned it washed. Quite satisfied with their service. Used Dave Hewitt from Chips Away Kent. He fixed my Porsche Macan hood, rear bumper with a spray and small passanger door dent. Brilliant first class service. Highly recommend Dave Hewitt and Chips Away. Recently had a bad first experience with a mobile Chipsaway repair to bumpers door and quarter panel. The outcome was a complete botched repair and not thinking things would improve, I consequently emailed Chipsaway with my dissatisfaction. A lady by the name of Rachel dealt with my complaint and immediately put things in motion to ... Read more rectify the issues I raised. Dave Hewitt was given the job of rectifying the problems and I could not be anymore pleased. From the first time he inspected the damage, he put my mind at ease. Dave instilled confidence, trust and knowledge. But most important of all, Dave had significant experience in this field. Dave collected and delivered my car and always kept me up to date with the repair and with ETAs. I could not recommend him enough. Thanks Dave, top man. David Hewitt from Bromley - absolutely first class service throughout. Dave visited to inspect my car and provide a free quotation, then returned later to collect my car, and two days later it was returned with the bonnet resprayed and other marks / scratches polished out. Car was also deep cleaned inside and out. Excellent value, highly recommended.